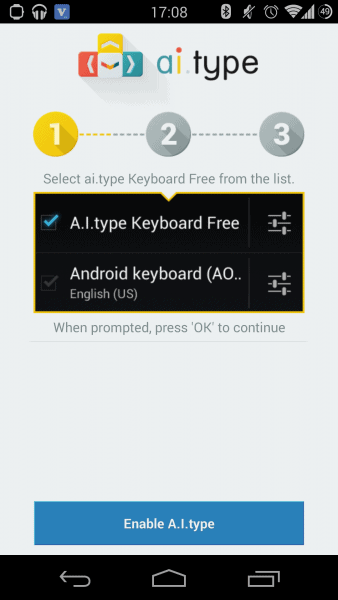 more info How it Works: To start typing faster with a.i.type, you need to download the keyboard from the Play Store. When you launch the app from the app drawer, you’ll be taught how to properly enable the keyboard using a friendly installation wizard. For those that have tried a different keyboard on their device before, this setup will be familiar. A very important step is choosing your desired theme of course. 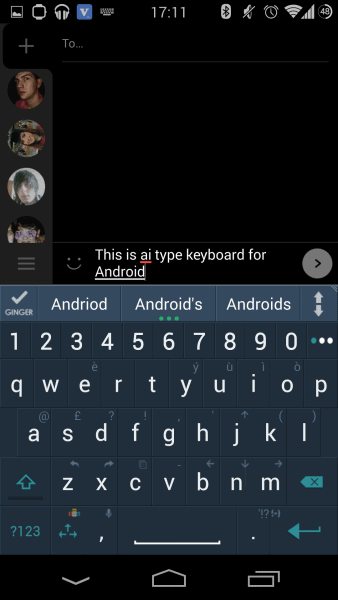 Once you’ve done setting up the ai.type keyboard, you may use it by opening any app that uses a keyboard. It will work just like the original keyboard that was pre-installed on your device, only better. You may change pretty much anything you want in ai.type’s look & feel with lot’s of settings available for users to tweak. You can even change the size of the keyboard whenever you like. 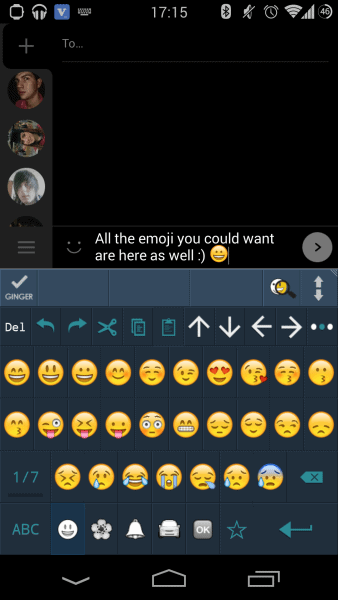 For those that love Emoji, the Emoji plugin brings all the emoticons you could ever ask for. Throughout my testing, I found the auto-correct and word suggestions features to be accurate and of genuine use. However, if for whatever reason you think these need some tweaking, you can do so in the settings menu. 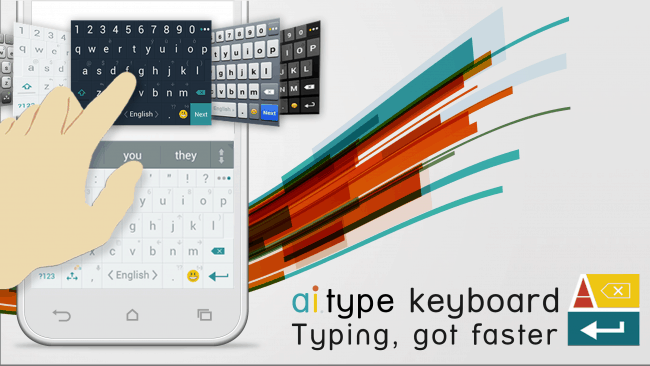 Opinion: For a long time, I’ve always said that the stock Android keyboard is the best, I certainly prefer it to SwiftKey but, ai.type has perhaps changed my mind. I don’t like how the app feels like it’s designed for Gingerbread, rather than KitKat, but there’s more I like than I dislike. The keyboard’s speed for instance, is something that I particularly like and the ability to make it bigger or smaller whenever I like is a real advantage. 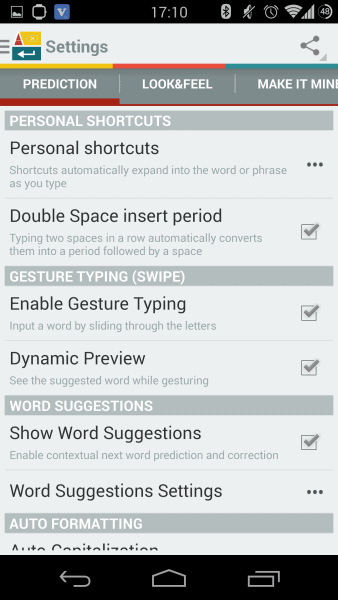 So too is the ability to change pretty much any setting I like, allowing me to create a perfect typing experience to how I type on my phone. It works well on my tablet as well, but I do far more typing on my Nexus 5 and while I’d appreciate a KitKat theme out of the box, the Urban themes included will appeal to most users. With a lot of feedback options throughout, ai.type is a keyboard that most users will be able to get used to very fast. Speed (4/5) – A.I. Type is a speedy keyboard and experienced typists will find themselves typing faster than when using a normal keyboard not too long after installing it. Theme (4/5) – The lack of a KitKat theme out of the box is quite annoying, but there’s no shortage of good-looking themes on offer here. Overall (4.5/5) – With a little added polish, ai.type would be an excellent keyboard, as it stands right now, it’s a great keyboard with lots of settings that could do with a clean-up. 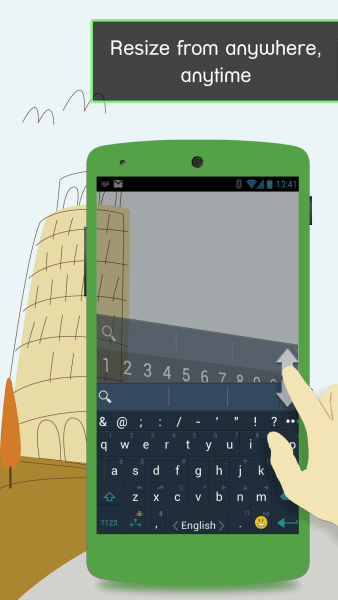 Easy to setup and get to grips with, very familiar for Android users. 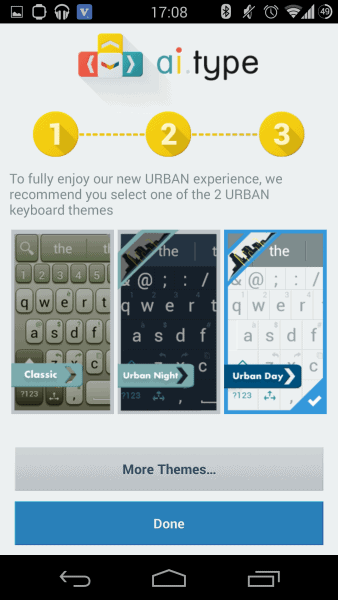 Lots of themes available to customize the keyboard’s look to how you like it. Great auto-correct and word suggestion no matter how quickly you type. Size and feedback options are fully customizable. An Android 4.4 KitKat Theme would be nice as many smartphones are getting the upgrade now. Menu screens can feel a little cluttered. Conclusion: When using ai.type Keyboard, I can see that the core needs for keyboard users are all present and accounted for. However, they just need a little polish, better attention to high-resolution displays is needed, so too is an update of the menu screens which feel like something from the Gingerbread era. However, with those small issues ignored, ai.type will deliver a brilliant typing experience to even the most experience typists, and for those looking for extra customization, without foregoing quality suggestions and auto-correct, ai.type is the way to go. Easy to setup and get to grips with, there’s really very little to complain about here. One of the fastest and more enjoyable after-market keyboards out there, you can rest assured that this is a quality choice, and not another “me too” keyboard for Android. This entry was posted in Android App & Game Reviews. For years now I’ve had a heavy interest in technology, growing up with 8-bit computers and gaming consoles has fed into an addiction to everything that beeps. Android saved me from the boredom of iOS years ago and I love watching the platform grow. As an avid reader and writer nothing pleases me more than to write about the exciting world of Android, Google and mobile technology as a whole.